If you ask me what I had for breakfast on any given day, the majority of the time I would reply, “granola.” I make my own homemade granola – which I need to post on here. It’s so good that I hardly ever feel the need to step out of my comfort zone. Well, this Instant Pot Quinoa Blueberry Breakfast Bowl has changed all that! I found this in Donna Hay’s Fresh and Light Magazine. I subscribe to in on my iPad and I love it!! It is loaded with all sorts of recipes for the way I want to eat today! By the way, that is not an affiliate link, it’s just me pointing you in the right direction! Click here to pin Instant Pot Blueberry Quinoa Breakfast Bowl now! Instant Pot Quinoa – So easy! I love that the quinoa in this recipe is cooked with the cinnamon stick. It really gives it a subtle cinnamon flavor. I changed up the recipe a little bit and cooked the quinoa in my Instant Pot. If you’re wondering why I used the Instant Pot instead of the stove, because really quinoa is not that difficult. First of all, it comes out perfect every time and second, it’s even easier than the stove. You put the quinoa, water, and cinnamon in the Instant Pot. Set the timer for 1 minute, and then when it’s done do a NPR (natural pressure release) for 10 minutes, then open up for perfect quinoa! While your quinoa is cooking (and you aren’t having to watch the stove) you can start to assemble the rest of the ingredients: raisins, honey, an apple, and apple juice. When the quinoa is finished you stir in those ingredients and let it rest in the fridge for 1 hour or overnight. I did overnight. Then I toasted some pistachios and put them in a jar, so they would be ready to sprinkle on in the morning. This was such a hearty breakfast!! We ate it for 2 days straight and plan on making it again!! Rinse the quinoa in a fine mesh strainer. Add the quinoa, water and cinnamon stick to the Instant Pot. Lock on the lid, make sure the vent is set to sealing, and manually set for 1 minute. When the Instant Pot beeps that it is finished, let the pressure release naturally for 10 minutes and then do a quick pressure release. Spoon the quinoa out into a medium size bowl, remove the cinnamon stick and allow to cool. Add the raisins, honey, apple and apple juice and stir to combine. Refrigerate for 1 hour or overnight. Add the yogurt and stir to combine. 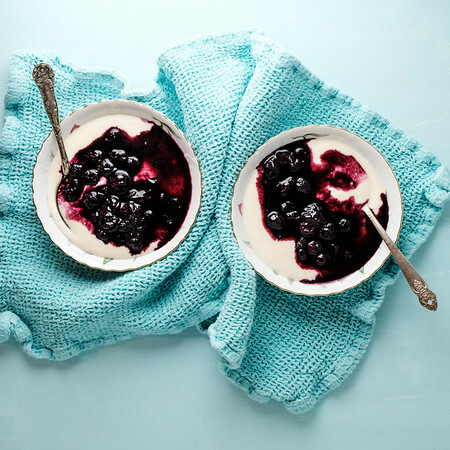 Serve topped with yogurt, pistachios, blueberries and honey. Quinoa cooks in one minute in the Instant Pot, but it requires a 10 minutes before doing a pressure release. Thank you for sharing the recipe! Gotta try it for breakfast tomorrow. Instant Pot is a pressure cooker, right? I haven’t been keeping up with all the gadgets. Yes, it’s an electric pressure cooker. I love using cinnamon in my breakfast recipes! 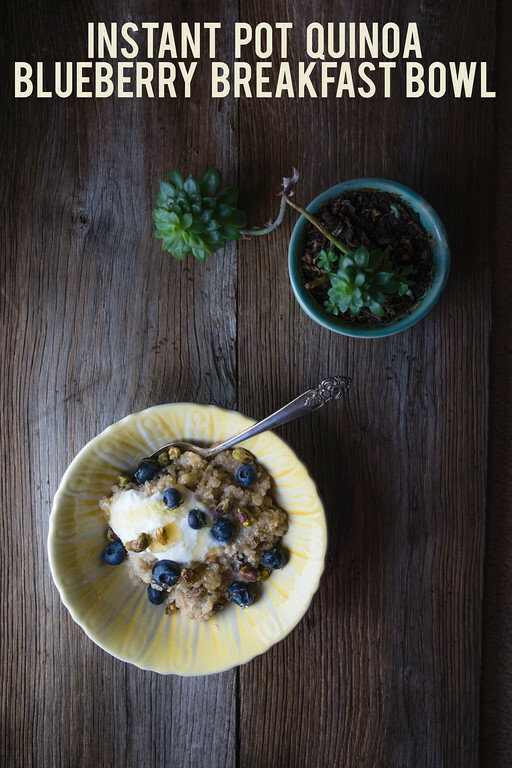 Your Instant Pot Quinoa Blueberry Breakfast Bowl looks like a fantastic way to start the day. It’s healthy and delicious too! Thank you so much for sharing this recipe, Pam, and for being a part of the Hearth and Soul Link Party! This looks and sounds delicious! The perfect breakfast for a chilly morning! Looks amazing! I haven’t used my instant pot, i love quinoa, never had it for breakfast. Such a wonderful way to start the day! I need to cook with quinoa more. I love how you included the cinnamon stick. I adore Quinoa and all of its benefits so having ot for breakfast seems perfectly brilliant to me. Your Quinoa Blueberry Breakfast Bowl is full of my favourite ingredients – especially blueberries and pistachios! Thank you so much for being a part of Hearth and Soul. Sharing this post! 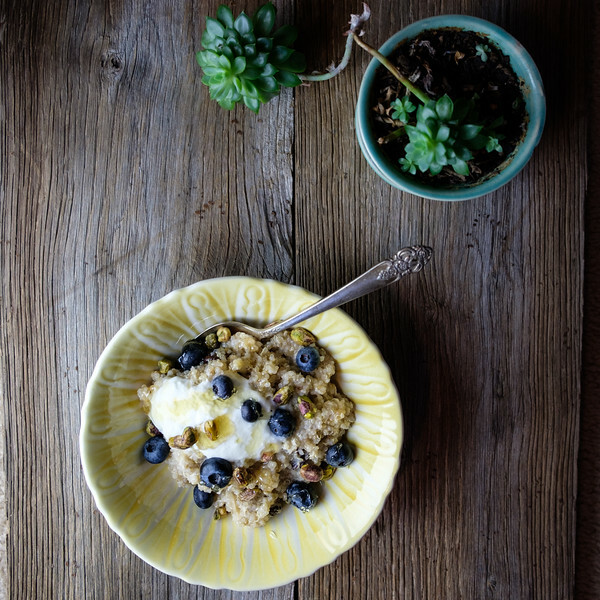 Your Quinoa Blueberry Breakfast Bowl looks fabulous! Hope you are having a great week and thanks so much for sharing with Full Plate Thursday! Can’t say I’ve taken to quinoa with the enthusiasm others display but I did thoroughly enjoy a pistachio croissant the other day. That looks great. 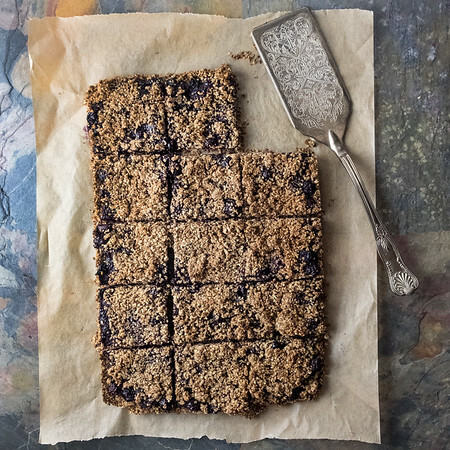 I would skip the pistachios, but I love blueberries and quinoa.